CreativeSpaces-fm.com | "De Kreative Mellemrum"
I have worked with paintings, mosaic and creativity since I was a little girl. I am very interested in aesthetics – both indoors and outdoors. 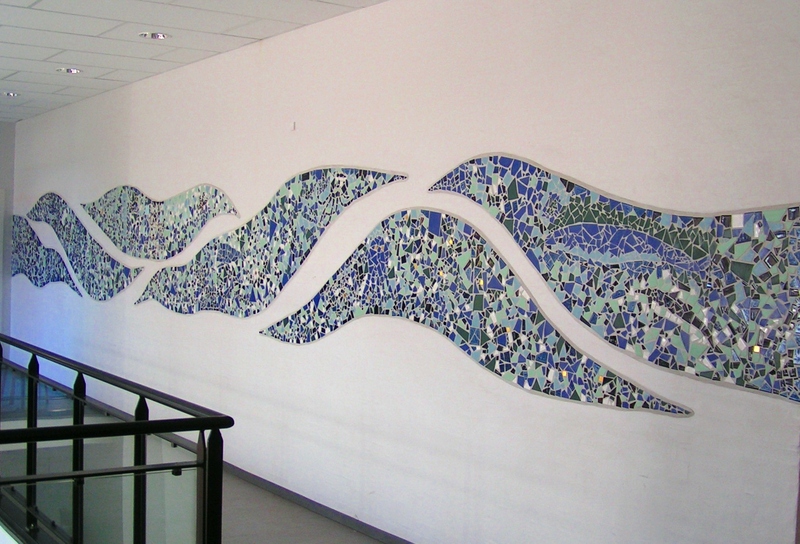 I have had several mosaic decorating assignments, e.g. for d.a.i. arkitekter ingeniører, Silkeborg. For a period of years, I have taught at the ”Skolen for Kunst og Design”, Aarhus, as well as at the VIA University College, Horsens. I participated in the interior decoration programme on Danish TV2 called “Our House”. as well as creative days promoting well-being for students and teachers at the Rungsted Private Realskole. I have a passion for providing creative input on flow and following your passion as well as entrepreneurship and innovation, and I have made a talk about this among others at an “Innovaction” event for the Business Academy Aarhus. On top of this, I regularly set up intensive, one-day mosaic courses at CreativeSpaces-fm.com in Gl. Rye. Contact me at +45 40 21 65 94 or send me a mail, if you have special course wishes or questions about course dates. In July 2012, I published the Danish book, ”De Kreative Mellemrum” – Bliv et kreativt skabende menneske. The book has been translated into English, now titled “The Creative Spaces in Between”: Being Consciously Creative in Everyday Life, and as an eBook it has been published in a vide range of editions for the various eReaders at the international distribution platforms. In the widget to your right, you can buy the eBook by clicking on the retailer of your choice.